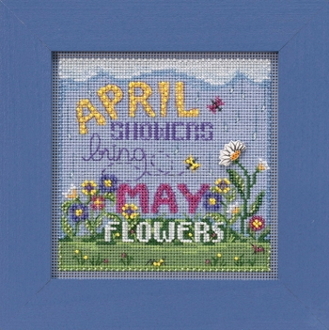 A beautiful spring themed counted cross stitch kit, "April Showers bring May Flowers". Adorn with the enclosed Mill Hill ceramic Flower button. Design size: 5.25" x 5.25" (13.3 cm x 13.3 cm).